After many hard tests, vlassis s. a. is happy to present you triple jackpot. it is a jackpot system with 3 individual jackpots. It is reliable and well constructed by our experienced personnel. It is easy to use with many sound and visual effects. 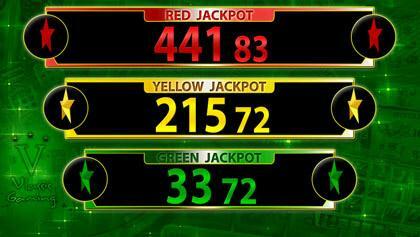 The green jackpot is more frequent with smaller prizes in order to keep the attention of the player. The yellow jackpot has bigger prizes but it is less frequent and finally the red jackpot is the big target for the player since it has the biggest prizes.